Atlantic Beef Products Inc., eastern Canada’s only Federally Inspected producer of high quality beef and ground beef, is proud to announce that it has received certification from the Islamic Food and Nutrition Council of Canada. The Islamic Food and Nutrition Council of Canada (IFANCC) is Canada’s leading Halal certifying organization. The IFANCC Halal certificate is an authoritative, reliable and independent testimony and is a highly valued third party quality assurance step. 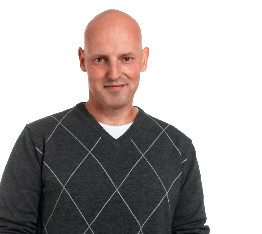 The organization offers Halal supervision and certification services worldwide. Canada has a Muslim population of over 1 million and those customers can now confidently choose Atlantic Beef Products and be assured that this beef will meet the needs of Muslims for Halal food products. 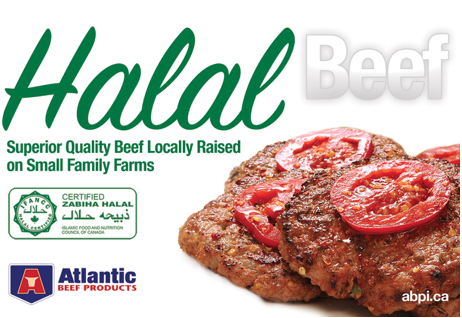 The Halal certificate issued to Atlantic Beef Products is an internationally accepted means to assure the Halal status of foods. Atlantic Beef Products Inc. is located in Albany, Prince Edward Island and provides high quality beef products from cattle raised in pasture on small family farms on Prince Edward Island and the other Maritime provinces. The animals enjoy primarily pastured grasses, grass and clover silage and hay, as well as local grains and potatoes. This natural diet, combined with the time-honoured technique of caring for the animals produces a superior quality beef, rich in marbling and flavour. Atlantic Beef is proud to be the sole producer of Prince Edward Island Certified Beef, Blue Dot Beef and various other cuts and supplies leading grocery retailers, food service distributors and independent butchers throughout Canada.